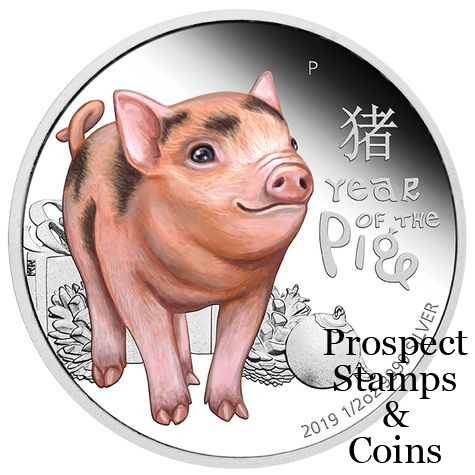 This sweet baby pig celebrates the Year of the Pig and is the perfect gift for any baby born in 2019. The birth dates for people born under the influence of the Chinese Lunar pig include 1923, 1935, 1947, 1959, 1971, 1983, 1995, 2007 and 2019. Reputed to be honest, loyal, sincere and generous, they are also said to be calm in the face of trouble. 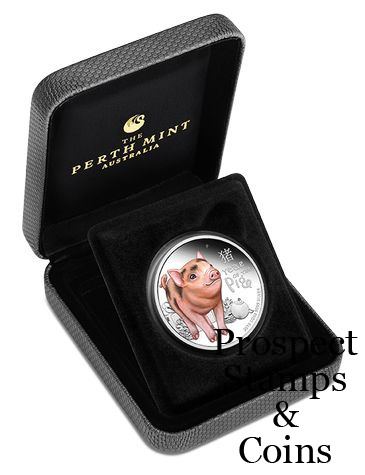 The Perth Mint will release no more than 7,150 of the Baby Pig 2019 1/2oz Silver Proof Coin in this packaging from a maximum mintage of 7,500. 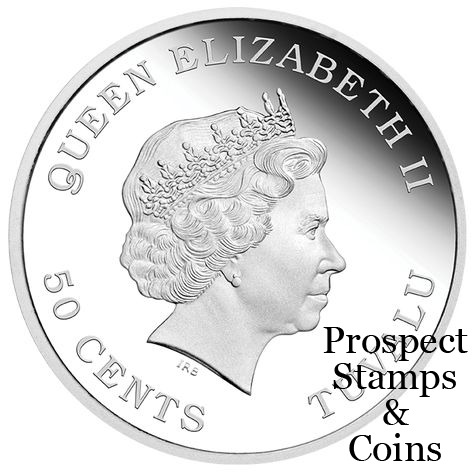 The coin’s reverse depicts a colour representation of a piglet with gifts in the background. 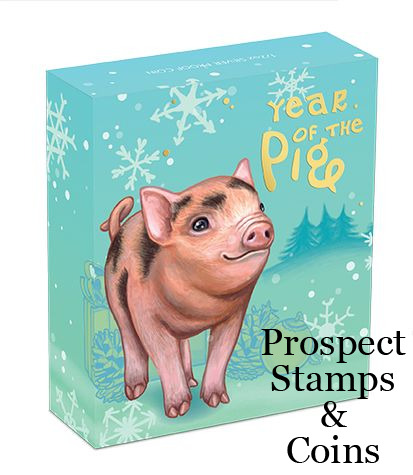 As well as the Chinese character for ‘pig’ and the inscription ‘Year of the Pig’.